01.11 Declarations of support from the local populations. There is no limitation to the quantity of these documents, to their form or to the texts used. The documents may include indications of services, initiatives and financial support the people and the organisations concerned wish to contribute to the project. Always be sure to obtain th authorisations of organisations and signatories to use their declarations for the purposes of promotion of the project. 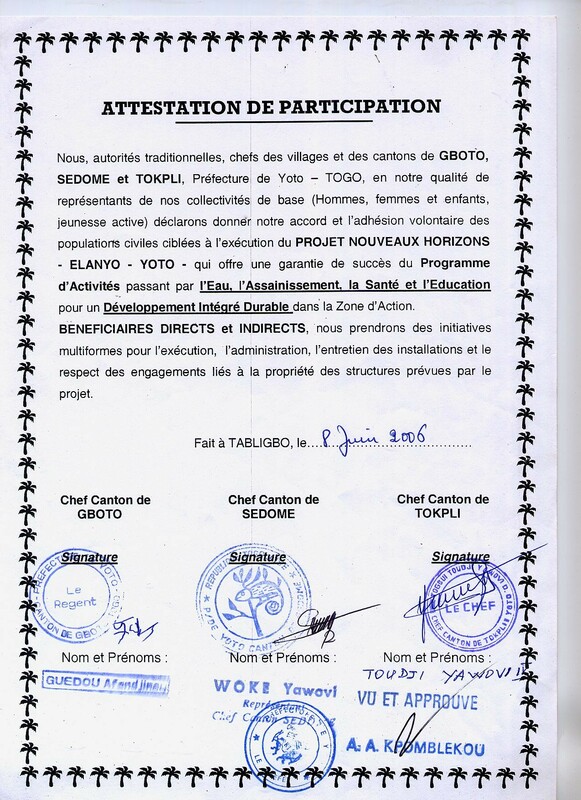 Example of a text from the Elanyo Yoto 10 project in Togo. Forward: 01.12 Declarations of support by national Civil Society. Back: 01.08 Information on the local NGO (name).